Catalyst Global Team building programs are sold and delivered in the Netherlands by Windshift, who have over 13 years of experience in delivering effective team building activities. Established over 13 years ago, Windshift became synonymous in Holland with beach related events like kiting, beach archery and sand yachting. These are a popular and well-known solution for corporates looking for a unique outing or staff away day. Now well renown in the team building market, Windshift has diversified beyond the beach into large or small scale, fun, experiential indoor and outdoor event based team-building programs. 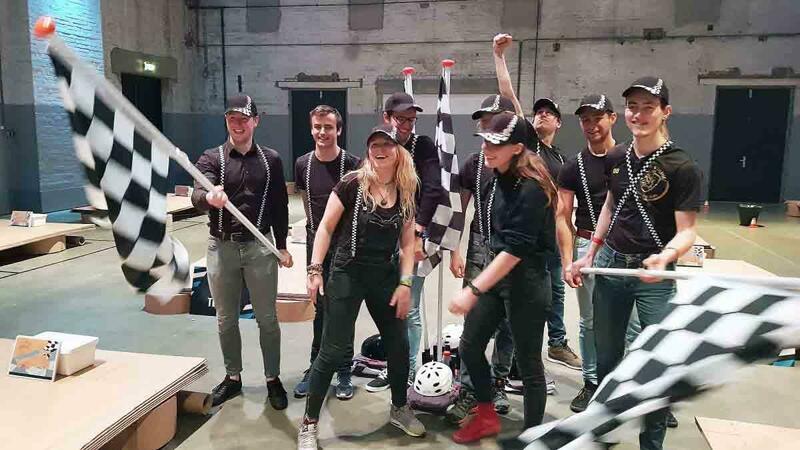 With Catalyst Global’s globally proven portfolio of team building products and Windshift’s experience and expertise, Windshift is able to deliver the most relevant, customised team building solutions in Holland. Catalyst Global team building through Windshift offers business simulations that explore the fundamentals of strategic and customer relationship management; simply fun activities that unite a team; competitive team bonding experiences; music and rhythm workshops; conference energisers and icebreakers; innovative activities and out-and-about treasure hunts throughout the Netherlands. Windshift prides itself in close consultation with clients ensuring that the right product is chosen for the specific event and matching the client’s needs.